We Drink Your Milkshake! : DIFF Announces Honorees, South Korea Spotlight, and More Movies! DIFF Announces Honorees, South Korea Spotlight, and More Movies! In the land of Orlais, where battles are fought with swords and magic, a young heroine rises as templars, mages, and dragons clash. Stars Luci Christian, Pam Dougherty, Mike McFarland, Christopher Sabat and John Swasey. Poor and meek but rebellious 18-year-old Wan-deuk has a hunchback father, a strange uncle, and a Filipino mother who just re-appeared after being missing most of his life. But when his radical and confrontational schoolteacher, Dong-joo—who is every bit the troublemaker Wan-deuk is—corrals the fight-prone youngster into channeling his rage as a kickboxer, Wan-deuk learns what family truly means. Based on the novel by Kim Yeo-ryung and adapted screenplay by Kim Dong-soo, PUNCH was one of Korea’s biggest box office draws in 2011. Stars Yun-seok Kim, Ah In Yoo, Su-young Park, Yeong-jae Kim and Sang-ho Kim. Motorcycle messenger Ki-soo witnesses a building blow up just after he delivers a package to it. He moves onto his next job—escorting a girl group singer, Ah-rom, to a TV station. As she puts a proffered helmet on her head, he gets a call saying that her helmet is a booby trap, and that he has more deliveries. Made in the spirit of the American action movies SPEED and CRANK, this 2011 Korean box office success by Jo Beom-goo is definitely a ride. Starring Min-ki Lee, Ye-won Kang, In-kwon Kim, Chang-Seok Ko and Jin-mo Ju. 40-year-old Sociology professor Hye-jung falls for a 21-year-old Usang, a male student who helps her project research on women's extramarital affairs. Stars Seo-hee Jang, Suk Won Jeong, Pil-mo Lee and I-Young Shim. Living in a fantasy era long gone and obsessed with old time country stars, the prettiest girl in a small Arizona town finds a lost iPod filled with songs that speak to her sensitive heart. Stars Lizzy Caplan, Ron Livingston, Joe Lo Truglio, Maynard James Keenan, Matt Walsh and Anthony Zanlungo. Two feuding rock stars get handcuffed together for 24 hours at a music festival where they are both due to perform. Starring Luke Treadaway, Natalia Tena, Mathew Baynton and Alastair Mackenzie. A member of an Israeli anti-terrorist unit clashes with a group of young radicals. Stars Ben Adam, Michael Aloni, Meital Barda, Gal Hoyberger and Yiftach Klein. An unexpected letter forces siblings Bernhard and Lydia to confront each other and to deal with their family history. Starring Anja Plaschg, Daniela Golpashin, Christoph Luser, Roswitha Soukup and Fritz Hörtenhuber. The animated classic follows Aladdin, a street-urchin who accidentally meets Princess Jasmine who is in the city undercover. They love each other, but she can only marry a prince. Voices include Scott Weinger, Robin Williams, Linda Larkin and Jonathan Freeman. In Harlem, an overweight, illiterate teen who is pregnant with her second child is invited to enroll in an alternative school in hopes that her life can head in a new direction. 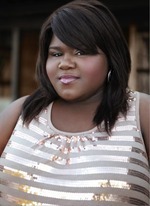 Starring Gabourey Sidibe, Mo’Nique, Paula Patton, Mariah Carey, Sherri Shepherd and Lenny Kravitz. Stars Gene Kelly, Donald O’Connor, Debbie Reynolds, Jean Hagen and Millard Mitchell. Tickets are currently on sale at the Prekindle Box Office in the Festival Village at Mockingbird Station at 5321 E. Mockingbird Ln., Suite 105. Passes are for sale and range from $100 for a Faulkner Design Group Festival Lounge Pass to $750 for an all-access Star Pass. To purchase tickets and passes telephone the Prekindle Box Office at 972-707-0838 or visit: http://cts.vresp.com/c/?DallasFilmSociety/679945b1ba/e123e5e5fc/49aaf8a68b. For further information about the Dallas Film Society telephone 214.720.0555. The Dallas Film Society celebrates films and their impact on society. A 501(c)3 non-profit organization, the Dallas Film Society recognizes and honors filmmakers for their achievements in enhancing the creative community, provides educational programs to students to develop better understanding of the role of film in today's world, and promotes the City of Dallas and its commitment to the art of filmmaking. 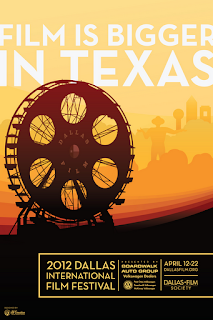 The annual Dallas International Film Festival, scheduled for April 12 – 22, 2012, is a presentation of the Dallas Film Society. In addition to producing one of the largest festivals in the Southwest, the Society produces numerous year round events, screening series and partnership programs with arts organizations around the city. 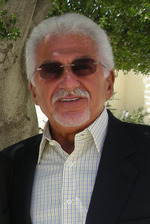 For more information, call (214) 720-0555, or visit http://cts.vresp.com/c/?DallasFilmSociety/679945b1ba/e123e5e5fc/3338129109. The offices of the Dallas Film Society are located at 3625 North Hall Street, Suite 740, Dallas, TX 75219.